Pro Boat's 17-inch Impulse Deep-V represents the true meaning of "fun". 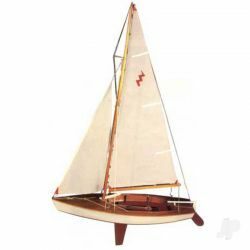 Brought to you by the global leader in RC boating, the 17-inch Impulse offers a ton of fun and is loaded with features typically found in larger, higher priced radio control boats. Your only problem will be how to find more time to spend on the water. The Impulse comes fully ready-to-run and includes a pistol grip style transmitter using 2.4Ghz technology, Dynamite 2.0A peak charger & 7.2V NiMH Speedpack battery. In addition to their great looks and compact size, the model comes Powered by Dynamite using a Dynamite 380 size motor providing ample torque and speed while the FWD/REV electronic speed control allows precise manipulation of the throttle. 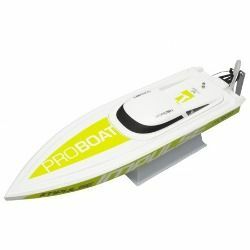 If you’re looking to get into radio control boating or simply looking for something to do at the lake with your free time, look to Pro Boat and the line of 17" models to bring the fun of RC boating to your local pond or lake.